Peacefully at the North Bay Regional Health Centre on Wednesday January 16, 2019 in his 78th year. Peter Grant, beloved husband of Linda Grant (nee Russell and Hunt). Dear father of Vera and John. Proud grandfather of Amanda (Matt) and great grandfather of Noah, Leah, Brea and Aubree. Cherished brother-in-law of Debbie and Irwin. Predeceased by his parents Edith and Livingston Grant and Sarah Jemison. Peter will be missed by his furry companions and fondly remembered by his Higher Heights family and all his relatives and many friends. Family will receive visitors at Higher Heights Christian Fellowship, 79 Ottawa Avenue in South River on Sunday January 20, 2019 from 4-7 P.M.
A service to celebrate the life of the late Mr. Peter Grant will be conducted in the church on Monday January 21, 2019 at 11:00 A.M. with Reverend Rick Callery officiating. Spring interment at the Siloam Cemetery in Machar Township. If desired, memorial donations to Higher Heights Christian Fellowship would be sincerely appreciated by the family. Arrangements have been entrusted to the Opatovsky Funeral Home – Moore Chapel, 9 Paget Street in Sundridge. 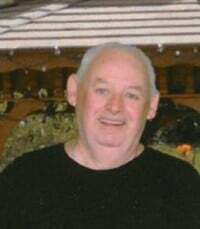 Nos plus sincères sympathies à la famille et aux amis de Peter Grant 2019..
Posted in avis décès, Canada, obituary, Ontario, opatovsky funeral home, Sundridge and tagged Grant, Livingston, Machar, North-Bay, Ottawa, Russell, South River, Sundridge.